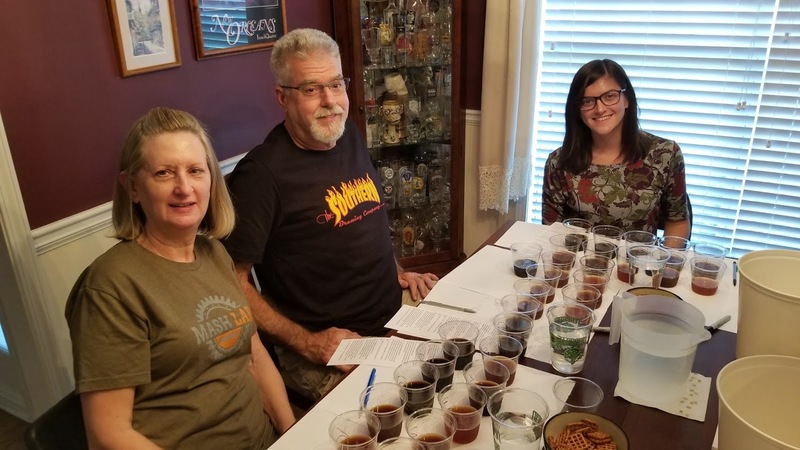 In October of 2018, Owen Ogletree gathered The Beer Wench, Dean and Gail Graves, Ian Meents, Ashton Smith, Flavia Costa and Andrew Borchert to taste and comment on ten strong craft beers that were aged for several years. 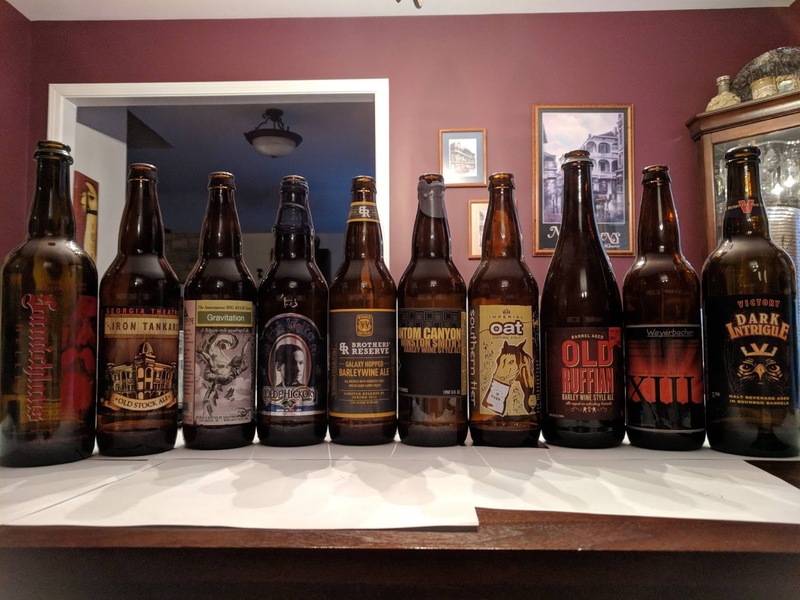 The tasting was done in blind fashion, with the group only knowing the style and age of each beer. FIRST PLACE: 2011 Phantom Canyon Winston Smith's Barleywine-Style Ale aged in whiskey barrels. Comments: deep brown color; light wood, vanilla aroma; dark fruit sweetness; bitter fruity flavors; lightly burnt toffee; moderately dry; nice hop bitterness; warming; whiskey and caramel are both subtle. SECOND PLACE: 2011 Southern Tier Oat Imperial Oatmeal Stout. Comments: beautiful black color; chocolate; sherry; prunes; dates; espresso; roasty; toasted caramel; burnt sugars; maple hint; dark fruits; mineraly; lingering cocoa/roasted malt notes; tastes great; bittersweet finish; could be a bit thin for style, but nice. THIRD PLACE: 2011 Widmer Brothers' Reserve Galaxy Hopped American Barleywine. 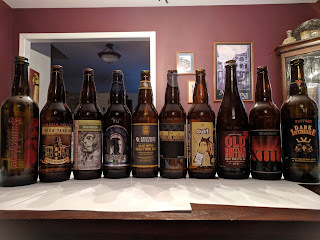 Comments: nice brown color; light, old hop note; woody; earthy hops; dry finish; light toffee and caramel; herbal hoppy hint; light butterscotch note; caramel hard candy; pleasing bitterness. HONORABLE MENTION: 2013 Olde Hickory Irish Walker Barleywine. Comments: deep, dark brown in color, almost black; too dark for style; toffee; hint of coffee; lightly bitter; chocolate hint; burnt toast crust; bitter finish; burnt cocoa nibs; smooth and creamy. 2012 Samichlaus Bier Helles - Blonde Doppelbock. Comments: dark amber in color; plums; prunes; creme brulee with plums; candied apricots; sweet toffee; butter hint; rich, earthy honey; pleasant; rum hints; cognac note; sweet, malty finish. 2010 Terrapin Iron Tankard Old Ale. Comments: dark amber in color; prune; figs; sherry; sweet; raisin; light chocolate; caramel; toffee candy; mild alcohol; dry finish; malt driven; milk chocolate; held up well. 2013 Smuttynose Gravitation Belgian Quad. Comments: dark amber hue; paper note; earthy; light fruit; light malt; sherry nose; mild kumquat; nice fruity esters; caramel; figs; oxidized note; lemon; some sweetness. 2009 Great Divide Old Ruffian Barleywine Whiskey Barrel Aged. Comments: dark brown; clove hint; toasted bread; somewhat thin mouthfeel for style; oak tannin note; winey; toasty; wet cardboard hint; dull flavors; did not hold up well over time; herbal; dark fruit; dry and slightly astringent in the finish. 2008 Weyerbacher XIII Imperial Stout with Belgian Yeast. Comments: black in color; Belgian esters come through; nice complexity; spicy; raisins; warming alcohol; caramelized sugars; dark chocolate finish; medium/full body; clove hint; loaded with dark fruit notes; earthy hint; coffee nuance. 2011 Victory Dark Intrigue Bourbon Barrel Aged Imperial Stout. 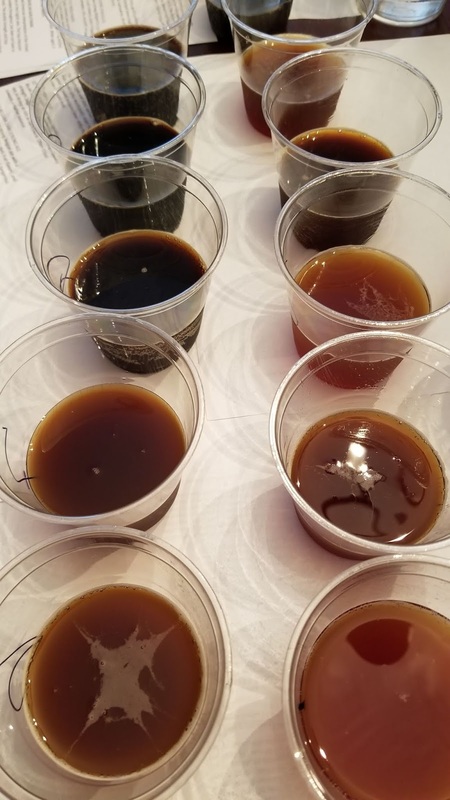 Comments: black color; paper-like; alcohol character is big; minty; clove; lots of bourbon barrel; not too complex for style; wood tannins; menthol-like warmth; roasty; dark, bitter chocolate finish; dry and bitter; might be a bit thin for style; light fruit complexity in the background. - Akademia Brewing Hunker Down Brown is an American-style brown ale loaded with brown malt complexity that provides notes of roasted nuts, dark biscuit crust, light caramel and balancing hops. This ale goes down extremely well during UGA football season. 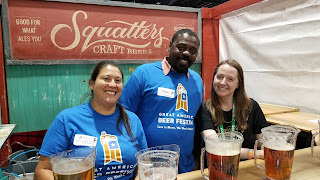 - Atlanta Brewing Company Soul of the City American IPA is a smooth, pleasing, thirst-quenching IPA with hops that give wonderful nuances of citrus, pine and pineapple. Light esters provide an elegant complexity. 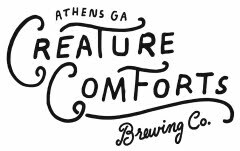 - Creature Comforts Context & Memory Pale Ale is an easy-drinking, 5.5% ABV American pale ale with generous additions of Mosaic, Citra and Galaxy hops that provide juicy, herbal, tropical fruit notes backed by pleasing malt complexity. "Context and memory play powerful roles in all the truly great meals in one's life." - Anthony Bourdain. - Creature Comforts The Silent World. This smooth, clean, black lager gets its inspiration from classic, roasty, German schwarzbiers. Expect a dark malt-focused brew featuring roasted malt, caramel hints, mild cocoa and nuances of toasted bread crust. Classic German hops provide a pleasing balance in this 5.5% ABV lager. 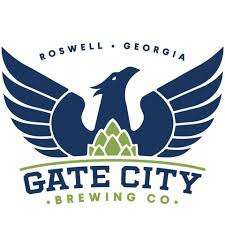 - Gate City 1864 IPA is a malty, slightly sweet ale with pleasant malt complexity backed by mild American hop additions. The aroma is malt-forward. Pair with roasted chicken or grilled scallops. - Monks Meadery Abstinence in the Abbey is a Belgian-inspired mead with coriander, orange peel, grains of paradise and Belgian ale yeast. Light additions of Nugget and Mt. Hood hops are included for bitterness and flavor, and the mead offers beautiful notes of clove, spice, fruit and witbier coriander complexity. Monks Meadery is even looking into producing the mead with chickpea bean water for added complexity and mouthfeel. - Pontoon Snozzberries Taste Like Snozzberries is a rich, fruity Berliner weisse with strawberry, blackberry, black currant, vanilla and sweet lactose. Like a tart fruit smoothie, this 5.1% ABV ale packs a mouthful of fresh fruit character and mild lactic acidity. - Red Hare Hasenpfeffer Oktoberfest is a classic German-style märzenbier with an elegant nose and palate of toasted bread, light nutty malts and hints of toffee and caramel. 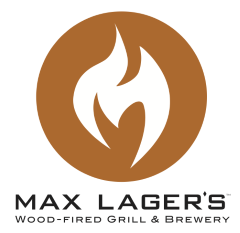 This clean lager comes across as malty, with no fruity esters. Pop a can alongside a salty, soft pretzel with mustard. 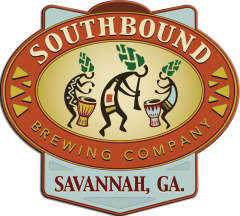 - Southern Brewing Company Mulberry Grove Golden Sour Ale is part of the brewery's Southern Woodpile Series. Aged in oak for more than a year, then dosed with a load of fruit from Lexington, Georgia, this reddish hued, tart brew offers notes of stone fruit, crisp lactic acid, strawberry jam, cranberries and mild Brettanomyces. An elegant fruit ale. - St. Feuillien Grisette is available now in cans. This version was inspired by a light-bodied, yet complex, Belgian ale that was popular with Belgian miners early last century. Notes of wheat, fruity esters and mild bittering hops make for an extremely impressive session ale that goes well alongside light cheeses and buttery fish dishes. - SweetWater 420 Strain G13 IPAcontains special terpenes and hemp oils, providing a mildly dank, cannabis-like aroma and palate. The 6% ABV IPA offers a medium body, slight haze, and an even greater depth of dankness from additions of resiny Columbus and Simcoe hops. - Terrapin Touch of Grisette. 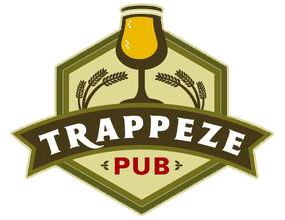 Terrapin's version of this historic style of Belgian ale boasts hints of wheat, farmhouse complexity, light bittering hops, and a touch of acidity. This low gravity ale goes extremely well with goat cheese or raw oysters. - Wild Heaven Fest Beer. Brewed in the style of an Oktoberfest märzen lager, this beer from Avondale Estates, Georgia also contains a slightly pungent, experimental German hop called Greungeist that provides a unique, interesting twist. Greungeist is a Hallertau derivative. The beer comes across as quite poundable. Even having judged for several years at the Great American Beer Festival (GABF) in Denver, I still find the entire experience enjoyable and exhilarating. GABF ranks as the largest and most impressive craft beer festival in the USA, and brewers from all over the country enter beers in hopes of bringing home a coveted medal. In 2018, the GABF festival hall was arranged in simple alphabetical order (unlike the regional layout of past years), and attendees cruise the massive aisles looking for beers that strike their fancy. Beers are served in one-ounce pours, allowing patrons to sample from a multitude of booths and chat with GABF volunteers and brewers. 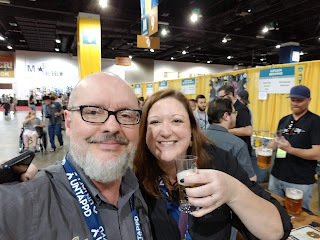 GABF judging is carried out in a nearby hotel, with hundreds of knowledgeable judges from all over the world coming together to sip the beers and award medals to the top beers in each category. Judges provide valuable feedback to brewers, and all judging is blind, with judges only being told about any special processes or ingredients for beers in each specified category. 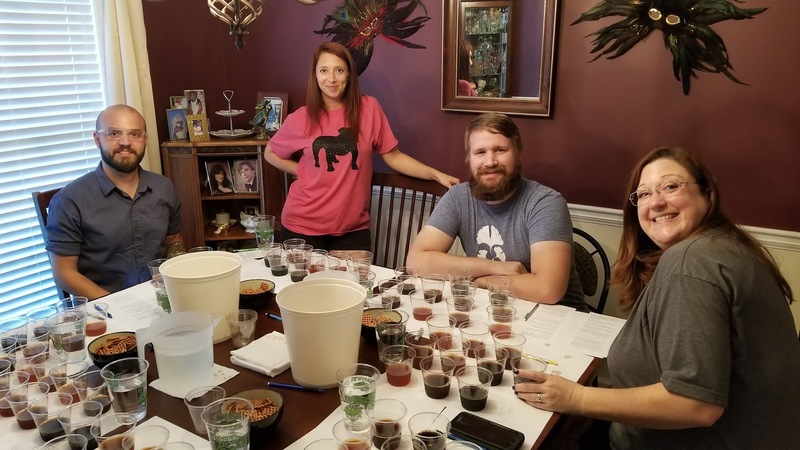 Judges look for off-flavors or any aspect of a beer that might make it not entirely true to style. 1. THE PEOPLE. Craft beer people are the best people. Interacting with brewers, judges, other media, and festival attendees brings a great deal of joy. Thousands of people coming together in one city to celebrate craft beer is absolutely amazing. 2. THE DIVERSITY OF BEER. 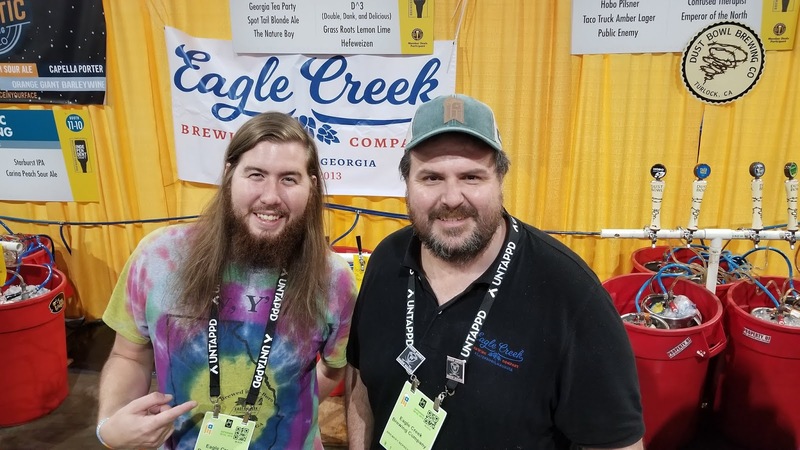 Craft beer in the USA is a creative, artistic phenomenon, with thousands of small breweries making fun, interesting, eclectic styles and brands. 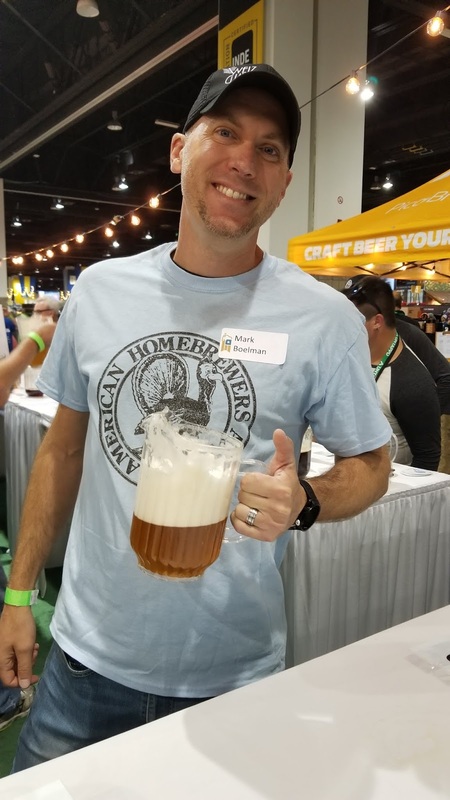 "Hazy, Juicy IPA" was the largest GABF category this year - even though 2018 was the first time the category existed. Beer styles are always being updated. 3. DENVER BEER EVENTS. During the entire week of GABF, the city is abuzz with special events, tappings, side events and open houses. 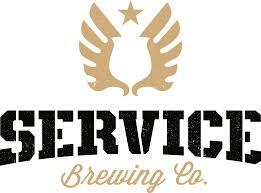 Check the GABF website for a full list of special events taking place during the festival. 4. EPIC BREWING'S 50 FIRKIN FIASCO. During GABF, Epic Brewing always throws a huge party featuring food trucks and 50 special cask ales made from the range of Epic beer. Each 10.8 gallon cask contains a few special ingredients to make the beer tickers and untappers super excited. 5. HITTING BREWERIES ALL OVER TOWN. It's so much fun to Uber and Lyft all over Denver during GABF week to sip beer flights at the extensive list of breweries. Each brewery offers a unique atmosphere and lineup of house beers. 6. 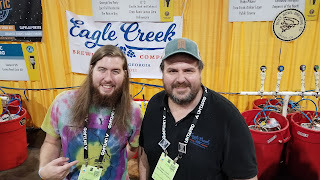 EXPERIENCING THE PROFESSIONALISM AT GABF. This event must be seen to be believed. Every aspect of GABF is professional, and the event runs like a well-oiled machine. 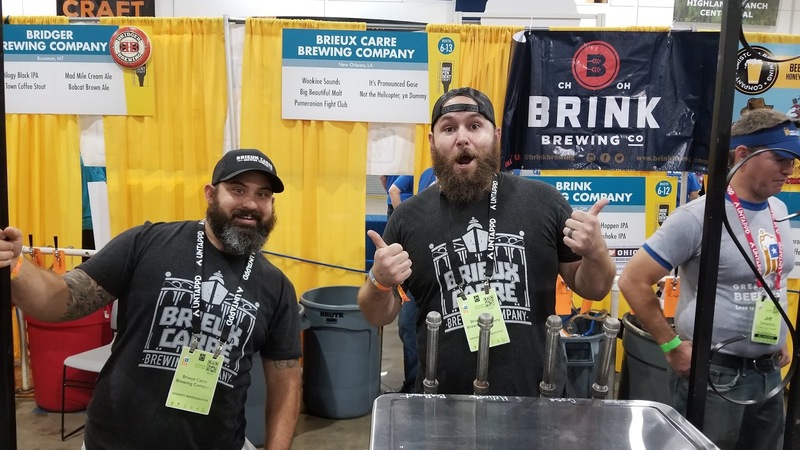 The Brewers Association puts in an impressive amount of work to make this massive festival go off without a noticeable hitch each year, and attendees seem to take notice. 7. 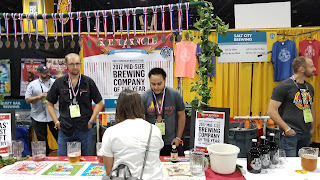 THE GABF PRO-AM BOOTH. 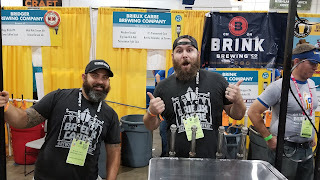 One of my favorite spots at GABF is the Pro-Am area that features a tasty range of beers produced by partnerships of professional brewers and amateur homebrewers. 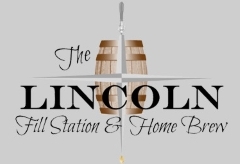 These guys work together to produce and showcase a delicious array of interesting recipes. 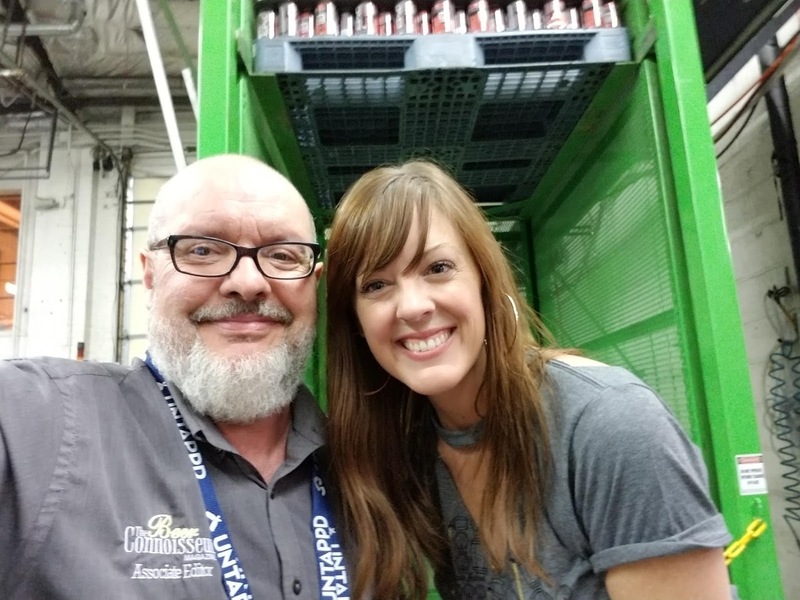 2018 GABF Winners List - CLICK HERE!